Four 'Boris bike' competitors is enough, surely? How many bike-sharing schemes does London need exactly? Well, at least five if you ask the companies behind such services. Today, Ofo comes to the capital, following a limited trial in Cambridge that began earlier this year and a launch in Oxford last month. Initially, the Chinese firm has dotted 200 bikes around the London Borough of Hackney. Yesterday, European outfit Urbo announced it was also arriving in London this month, putting 250 bikes on the streets of the Borough of Waltham Forest. 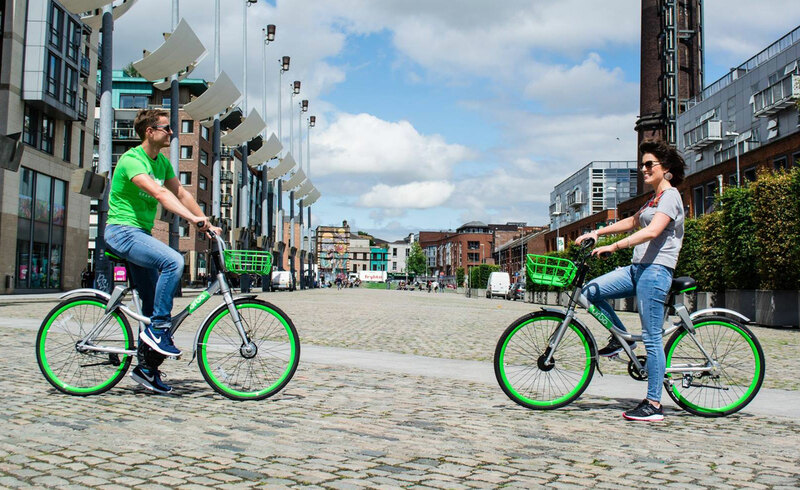 Alongside London's 'Boris bikes,' of which there are over 11,000, we now have four nigh-identical dockless bike rental services vying for custom in the capital. oBike was first, arriving in July, followed by Mobike, Ofo and Urbo this month. Unlike Boris bikes, the schemes don't require riders to end their journeys at designated docking points. Finding, unlocking and paying for bikes is all handled via mobile apps, and there's basically nothing that differentiates one service from another. Choice is a good thing for consumers, of course, but all these new London players plan to put more and more bikes on the capital's pavements as appetite for rentals you can park up almost anywhere grows. That is, if you can find a spot to legally lock the thing up. Dockless bike-sharing schemes have caused problems in Chinese cities saturated by thousands upon thousands of the things, leading to mounds of wheels and frames forming at popular hop-off points. Though the companies in question are operating on a much smaller scale in London right now, similar issues are starting to appear already. Wandsworth Council reported last month that it had impounded 130 oBikes for blocking pavements. Ofo had to seriously reduce the scope of its Cambridge pilot before even launching, too, after local authorities expressed concerns over the potential for pavement clutter. As the Evening Standard reports, Hackney Council transport bod Feryal Demirci said of Ofo's launch: "We are going to work with Ofo to make sure that users are given information on locations where they can park their bike in hot spot areas to prevent issues such as obstructing the footway and parking on busy, narrow pavements." Ofo, oBike, Mobike and Urbo all say they are in dialogue with councils, but even formal approval doesn't mean much when the bikes can end up in any London borough. If any more dockless bike-sharing schemes launch in the capital, we might hit saturation point pretty quickly. It seems inevitable, then, that Transport for London (TfL) will probably start regulating these services before too long, just as it now does with Uber.